Bingham Yeh really loves smiling. The way he starts to speak is a little shy; when encountering many questions and praises his eyes unconsciously roll up and around as he mulls over the questions, like he wishes to find the most suitable answer for this question. This is very different from his stable stage personality where he is known for his easy melismatic vocals. 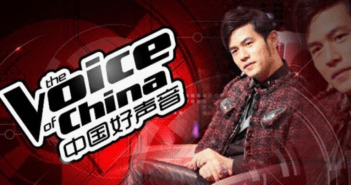 After participating in the NCCU Golden Melody Awards and achieving runner-up status, he began to throw himself into several other singing competitions, from being a undefeatable round robin competitor on “One Million Stars”, he moved on to participating in Chinese reality show “The Voice of China” and was named “Little king of melisma”, gaining much applause and popularity in the eyes of the audience. However in the last stages of the competition he seized up “because in the process of every competition, you will always realize that there are many more people in this world who sing better than you”. If I am a singer-songwriter, what would I say? And so he took on his friends’ suggestions, beginning to write his own songs in the hopes of allowing himself more possibilities in voicing his opinions. In 2012, he put out his creations one by one on the internet; his funky voice and warm melodies have since brought a tear to many listener’s eyes. In describing his previous works, Bingham says that more than half of them were just melodies hummed casually that were quickly recorded one, before letting them organically transform into complete songs. “I am a person who sings according to my emotions, and usually need to carve out a section of time to be at ease before being able to sing what my heart is saying; this point is very honestly reflected in my works”. 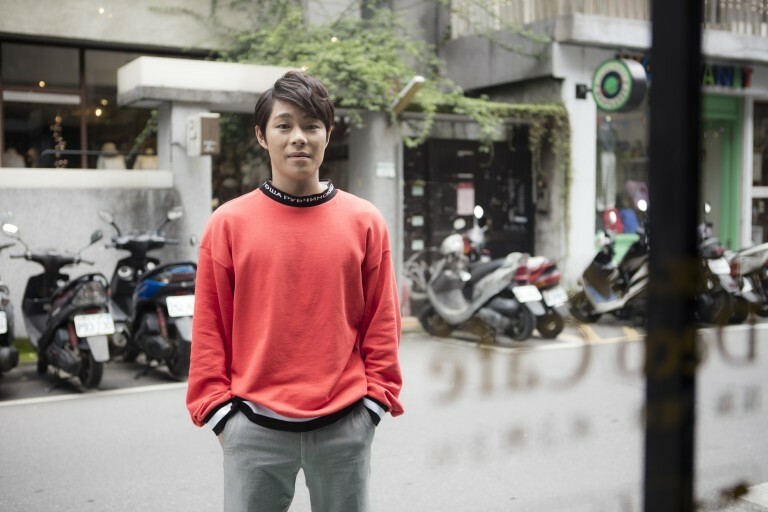 The debut album he released this year includes title track “Days like this”, and has many images of Yeh holidaying with his family and a spontaneous, organic melody-this is the first song Yeh ever wrote. Yet in the process of songwriting, nothing has ever been as easy as the song name denotes. “At that point what I was thinking was, if I was a singer-songwriter, what would I wish to say? But perhaps my life has always been too comfortable, there has not been any hardships that create inspiration; to the point where I doubted whether I would ever be able to write songs in this lifetime…”. After this, I asked Yeh what happened next, and he laughed bitterly and said: “after that, I went to flip through the old photos of me holidaying with family, and after looking at them I laughed. After laughing I woke up; actually I did not have to forcibly find a ‘story’ to create a song around; those social interactions between people and previous memories; if they could be turned into songs, this would be more worthy of safekeeping”. This idea cemented the start to Yeh’s songwriting process; using music to save every beautiful moment in life. Flipping through the liner notes accompanying the album, one realizes that there were two people behind the scenes who were of much importance to the album, Cooper and Ken. “They are like two close friends who gave me a lot of suggestions and support”. 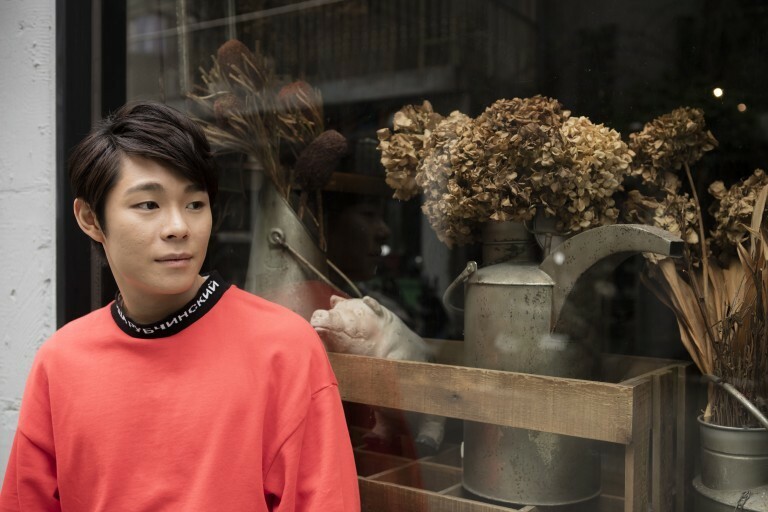 Talking about good friend and partner in crime Cooper, Yeh’s expression softens and he warmly says: “the way we met was quite strange, there was a time I went to the hospital to visit a friend, and I saw him playing the piano and he struck up a conversation with me”. Although afterwards Cooper realized that he had the wrong person and was instead talking to a stranger, the two people with a mutual interest in music somehow became good friends who could talk about anything and everything. At the time, Cooper who was in a band even gave his songs to Yeh to sing, creating a foundation for Bingham’s own creative works. As for band “Light Engine”’s guitarist Ken, the two people met after working together on a promotional song for Taipei City’s Cat Rescue organization, and gave him the opportunity to ask Ken to be the producer for his album. “We are all people who don’t do stuff the conventional way. Recording, practice sessions are just made up of us chatting and playing, and the freedom got to the point where one day Ken asked me playfully, “Is it that I am too young, I don’t even have the feeling of being a normal producer?” Bingham recalls that there was even a time when they recorded for six hours, and only finished because they laughed until he had no more energy to continue singing. Yeh seems a real joker, every time he makes a mistake while recording will tide it over by throwing a couple of jokes in. “Thinking too much” was the funk-inspired song Bingham felt to be his most memorable recording session with Ken. Collaborating with Universe People’s bass player Fang Q who supplemented the song with a luxurious and throbbing bass line, Yeh said: “this song summarises the feeling of being blind and going with the flow, yet forgetting to live for yourself. It also has a little sense of rebellion in it, so when trying to embody the song and creating this energy of ‘rejection’, Ken asked me to go and research the singing style of African Americans, in order to allow my body’s rhythm to incorporate the beat of the funk genre”. This was also the last song to be recorded for the album; without the pressures of time, Bingham expresses that he was able to be thoroughly relaxed and freely playing his music. Just like how the outer world discusses the change to his image, Bingham straightforwardly addresses the situation and states that what is on the outside is only an external object. “In terms of content, I am still me, it is just that I’ve changed a new image, just to give everyone a little surprise.” Perhaps it is exactly this optimistic and easily satisfied personality which has allowed his works that feeling of innocence. As long as you are willing to listen to him sing, Bingham Yeh will use his clean and resonant voice and all the energy he can muster to bring happiness to you.